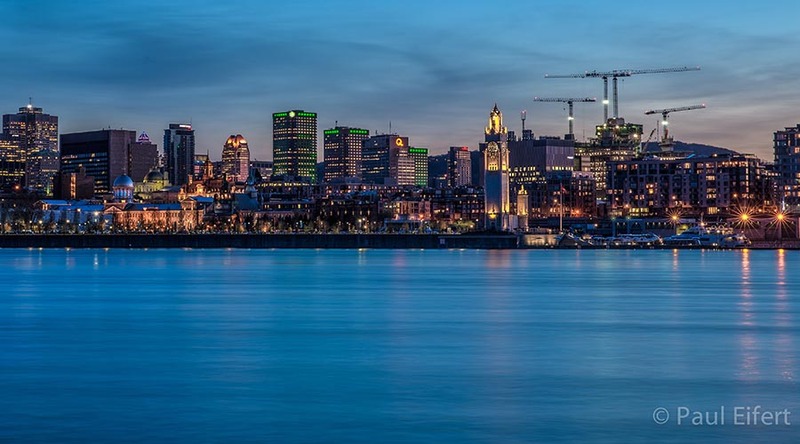 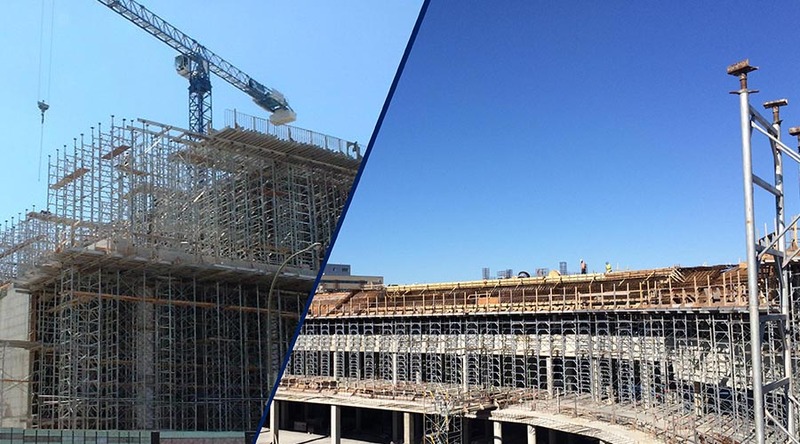 Diversified solutions to meet the specific needs of each client and every project: an advantage for efficient site management. 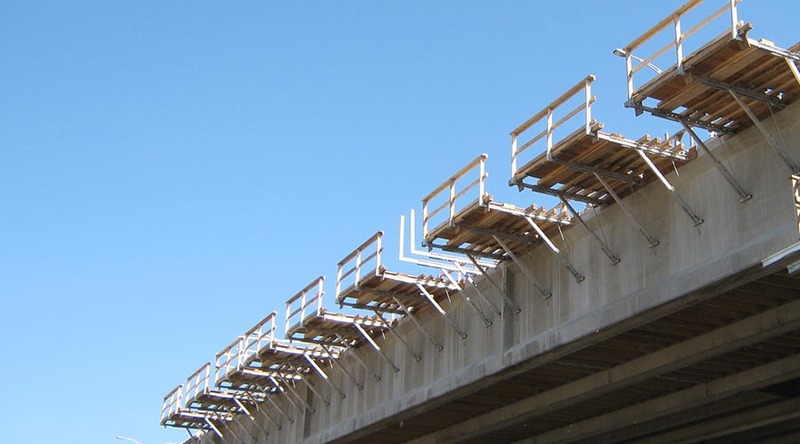 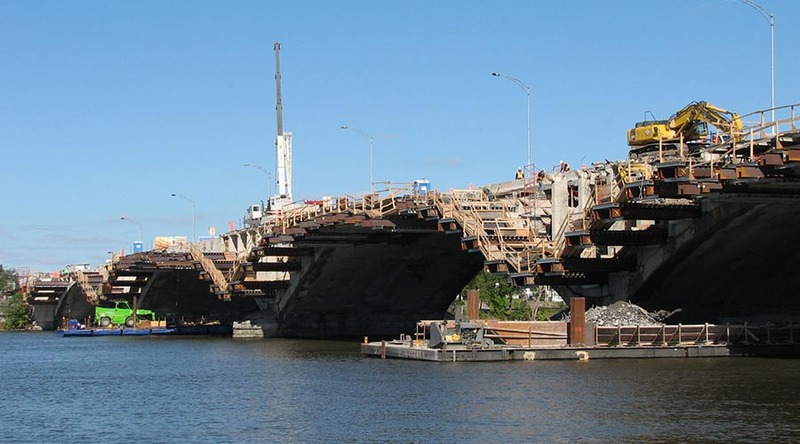 for improved speed in removal of formwork and falsework. 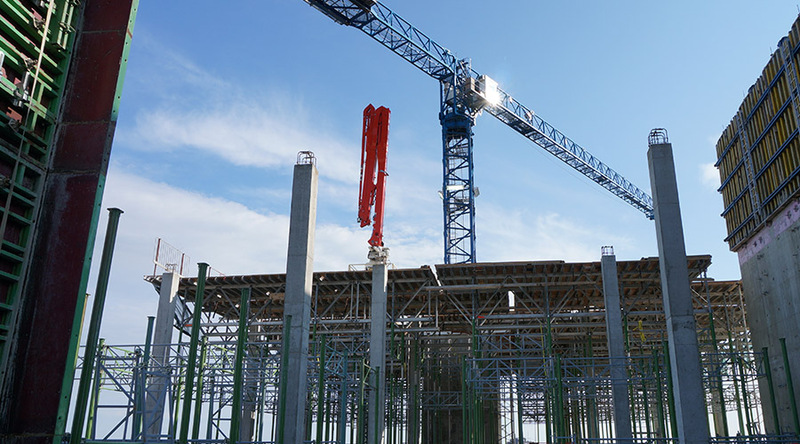 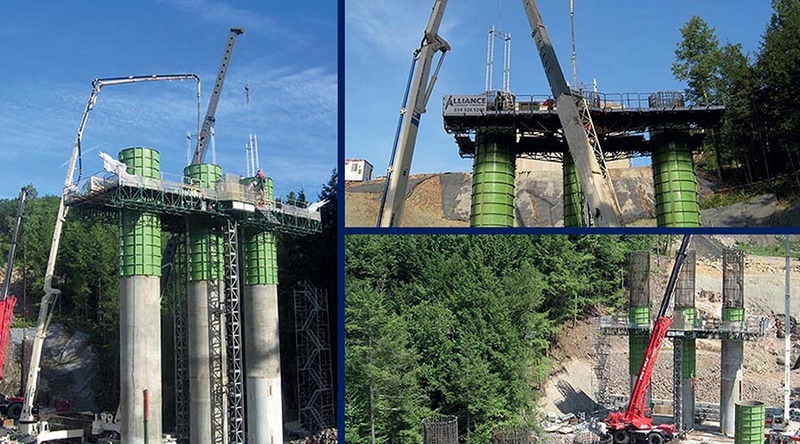 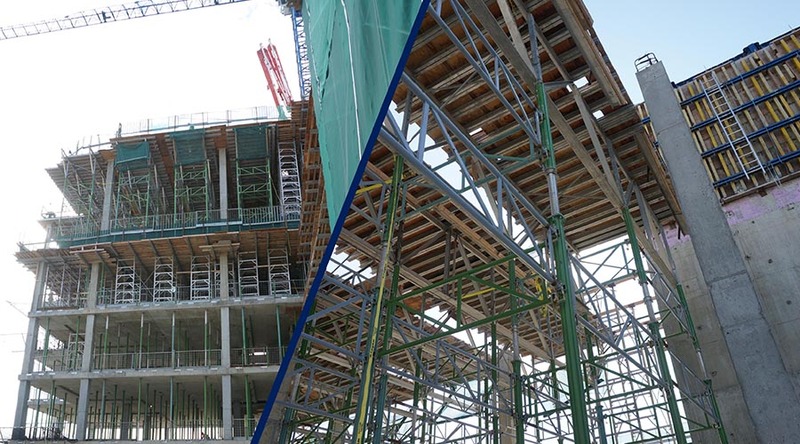 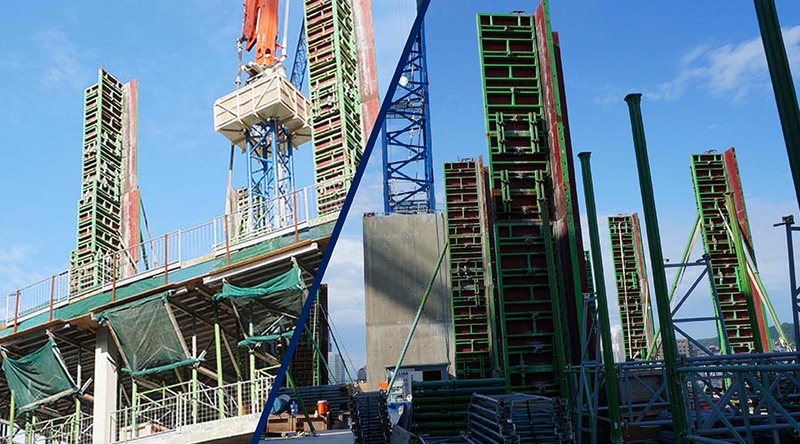 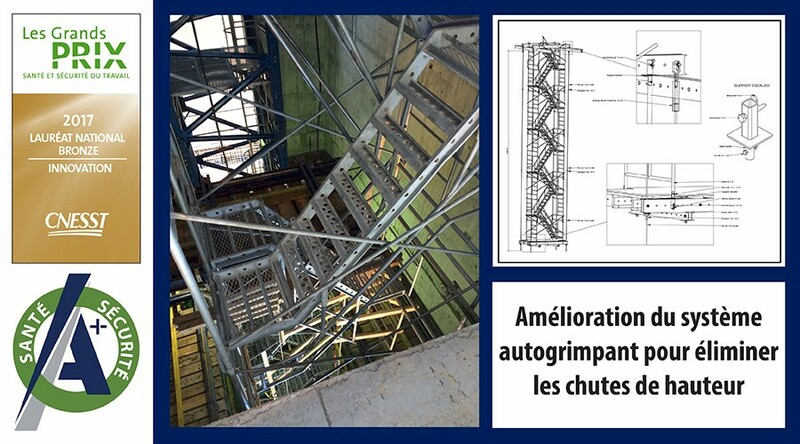 A hydraulic automatic climbing system limiting use of a tower crane for multi-level cage walls. 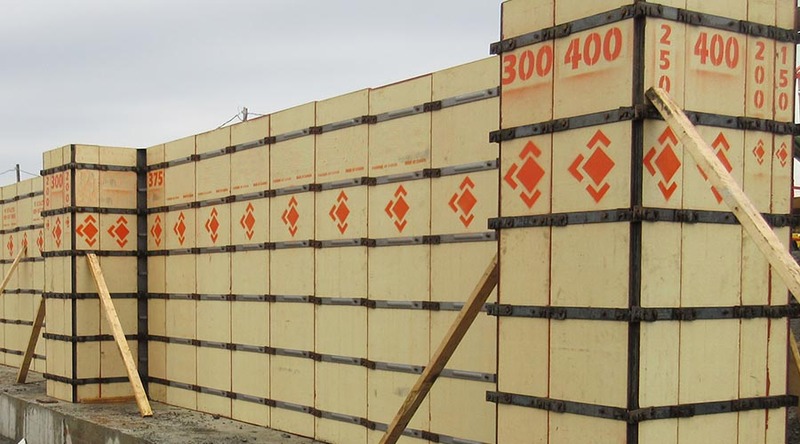 It saves time by allowing for several walls to be poured in advance, before the slabs have even been poured. 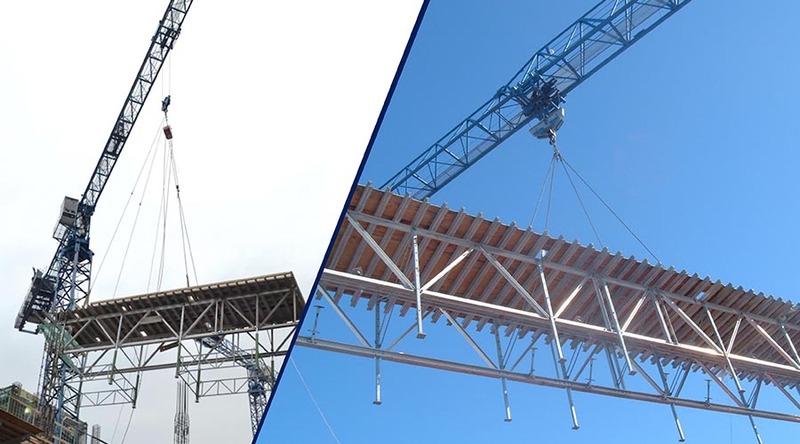 Highly secure, it ensures peripheral protection and provides a secure work platform, sheltered from bad weather. 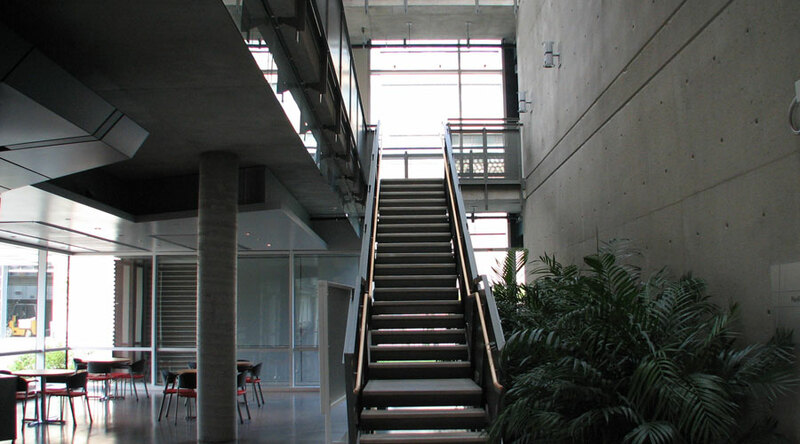 Modul-R Corner for Different Cages: stairwell, elevator, etc. 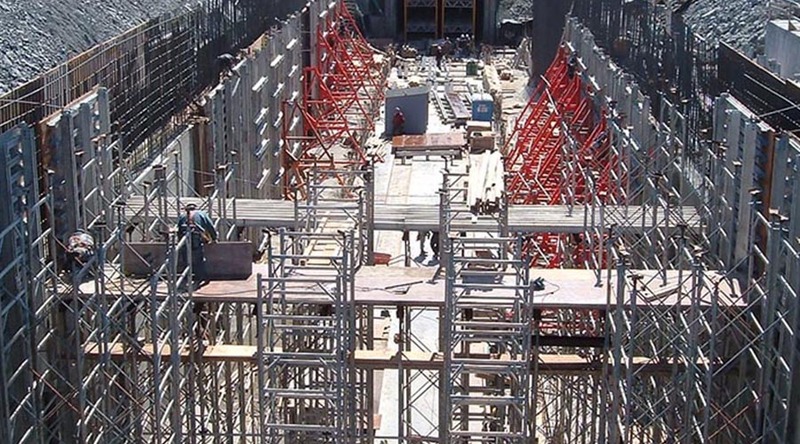 and high and wide formwork. 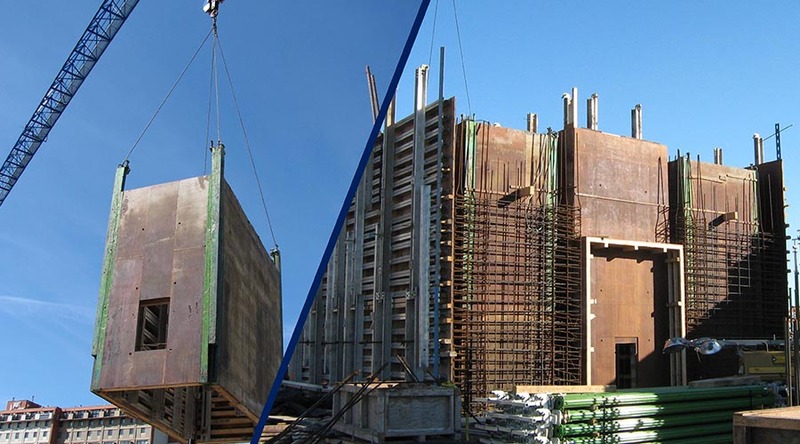 Gang Formwork with the Classic System and the Modul-R Column Panel System. 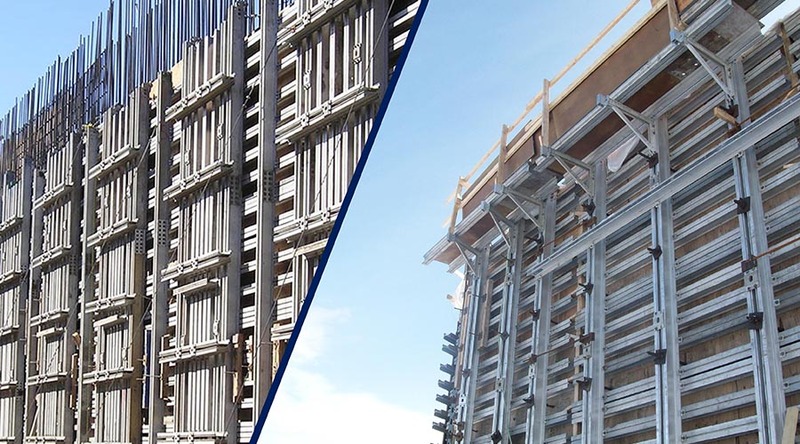 This system allows for a lighter and higher structure that's more environmentally-friendly and is just as solid! 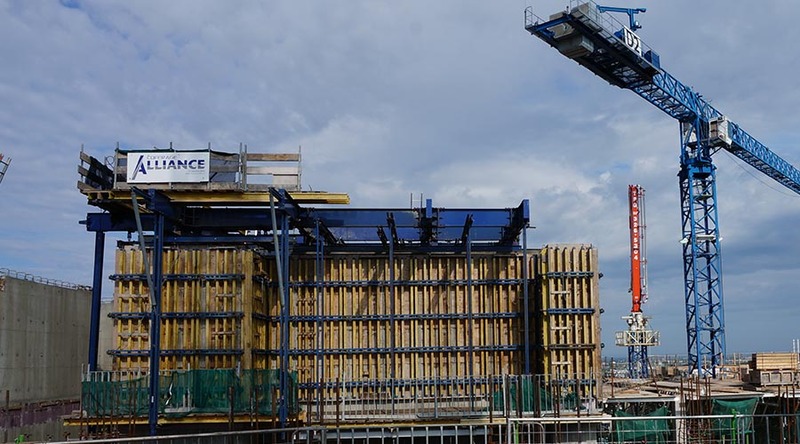 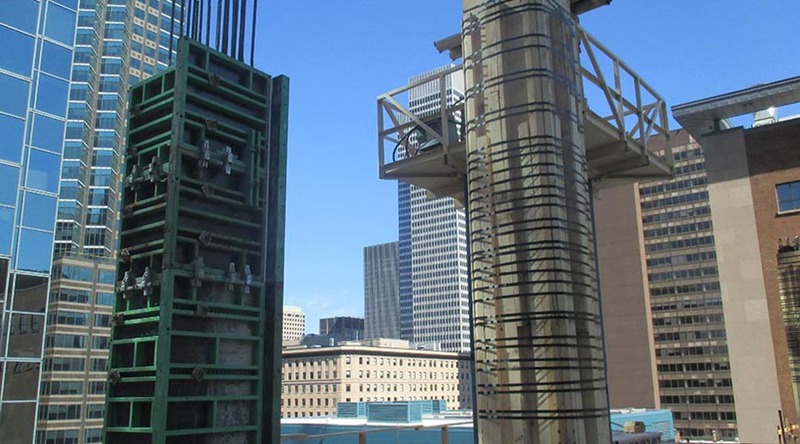 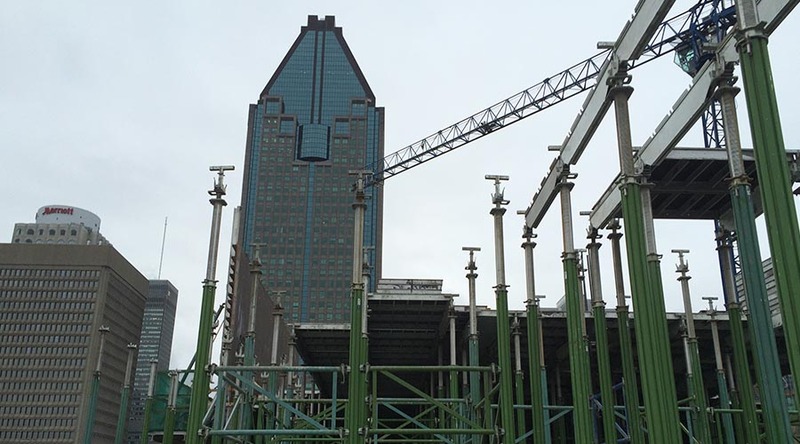 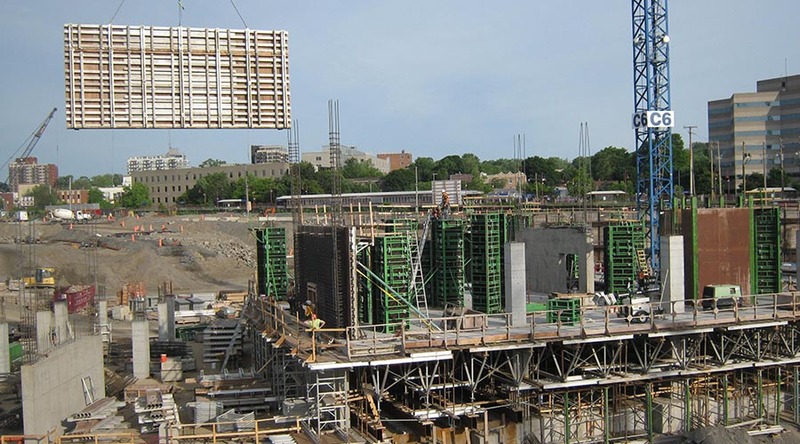 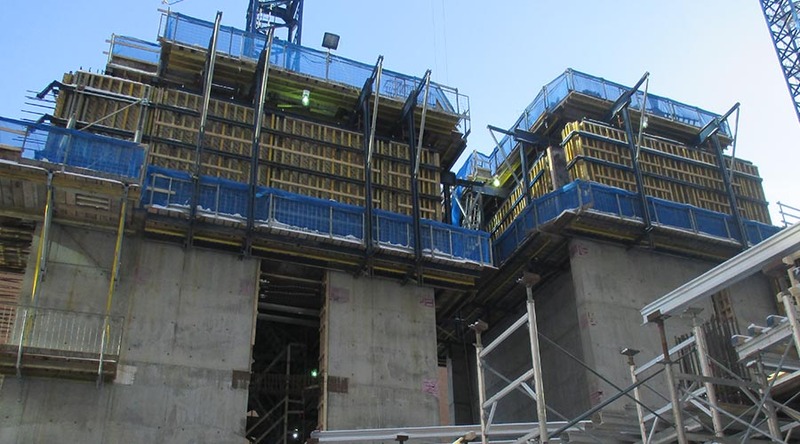 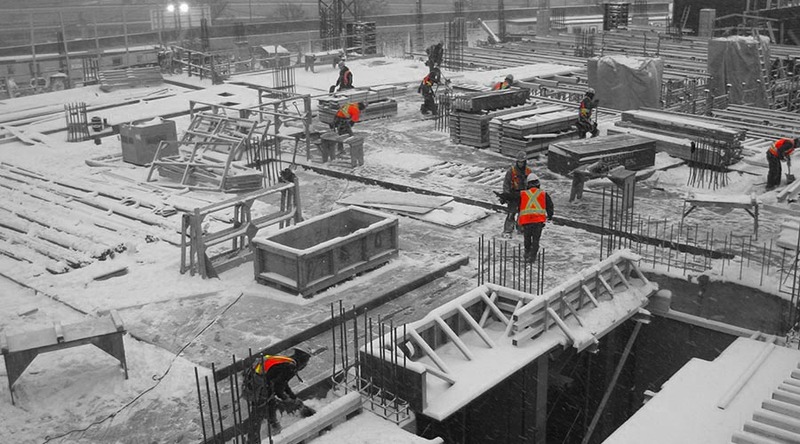 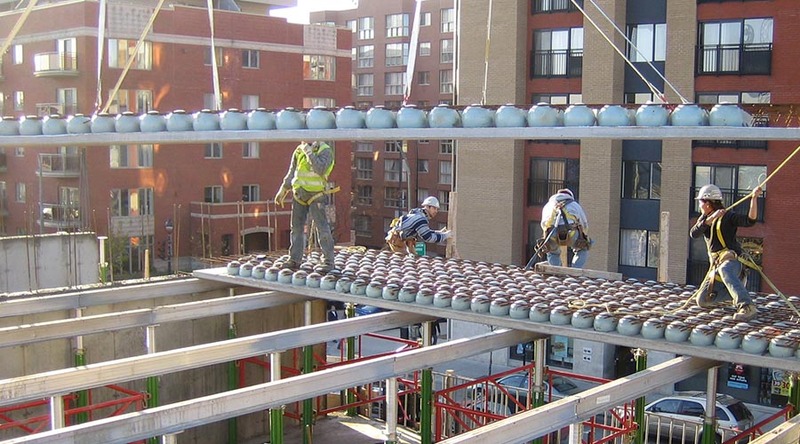 A first in North America, used for the new ÉTS campus housing in 2009.
used in conjunction with Classic System gang formwork.